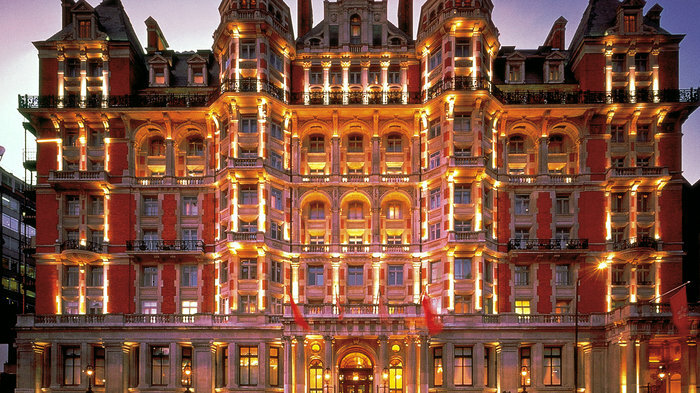 Over a century after it first opened, the Mandarin Oriental is still one of London's landmark luxury hotels with unrivalled views of Hyde Park, a spa, and Dinner by Heston Blumenthal. Near Harrods and opposite Harvey Nichols, its Knightsbridge location is ideal for shopping. Overlooking Hyde Park, the Mandarin Oriental in Knightsbridge is a wonderfully appointed luxury hotel well known worldwide for its top quality accommodation. The luxury hotel re-opened its doors in May 2000 following a £57 million restoration revealing 198 renovated guestrooms and suites, two restaurants and a bar re-designed by Adam Tihany, new meeting rooms, and the creation of an exclusive spa spread over two floors with a 17-metre pool. The hotel's two restaurants, Bar Boulud and Dinner by Heston Blumenthal, are destinations in their own right. Its unique location in Knightsbridge makes it especially handy for a shopping trip - starting with Harvey Nicks opposite. A labour of love between the snail porridge pioneer and his long-time cooking partner Ashley Palmer-Watts. 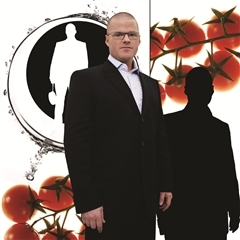 Heston Blumenthal's first foray into London opened in February 2011 amid much fanfare - and quite rightly so. Located on the ground floor of the Mandarin Oriental Hyde Park hotel in Knightsbridge, Dinner by Heston Blumenthal is a labour of love between the snail porridge pioneer and his long-time cooking partner Ashley Palmer-Watts. Offering a new historical take on British recipes, Dinner was labeled a "theatrical tour de force" and "colossal fun" by The Telegraph's restaurant critic Matthew Norman. The playful and adventurous menu offers creative delicacies such as Hay Smoked Mackerel (c.1730), Rice & Flesh (c.1390) - an intense combination of braised calves tail and saffron risotto - and, the piece de resistance, Meat Fruit (c.1500), a smooth chicken liver parfait covered in a savoury orange jelly and moulded in the shape of a mandarin. It's not just the food itself that is fun: guests are surrounded by all manner of zany contraptions - including a trolley-mounted churning device for making ice-cream and a clockwork pineapple-roasting spit - while 35 chefs are on duty in the open, glass-fronted kitchen. A charcuterie-centric bistro de luxe by one of France's most celebrated chefs. Located in the basement of the famous Mandarin Oriental Hyde Park hotel in Knightsbridge, Bar Boulud is a charcuterie-centric bistro de luxe brought to you by one of France's most celebrated chefs. Lyon-born Daniel Boulud is rated as one of the best restaurateurs in New York, where his restaurant Daniel has been honoured with two Michelin stars. His first presence in London, this slick, French-inspired brasserie, offers sumptuous cooking at very decent prices given its rather prestigious location. The main dining room is a charcuterie bar with an excellent range of pates and terrines (chicken liver, foie gras, duck, beef cheek, coq au vin - you name it) made on site under the direction of the award-winning Parisian charcutier Gillet Verot. Boulud's American connection shines through with the inclusion of four different types of burgers on the menu - all cooked deliciously rare, the pièce de résistance coming with a thin slice of pork belly and Morbier cheese. The wine list is superb and the adjoining lounge bar is a destination in its own right. Once a stylish tea room in the early 1920s, The Rosebery returns to its roots. The Rosebery within the Mandarin Oriental, named after Lord Rosebery, was once a stylish tea room in the early 1920s and has made a welcome return to its roots providing the ideal backdrop for a decadent afternoon tea. The interior design, created by G&A Designs (also behind The Northall at The Corinthia and the Booking Office Bar at St Pancras), makes the most of the room's Victorian origins but has been brought up to date with some contemporary touches and specially commissioned one-of-a kind art works. A beautiful fireplace is a central feature and the design also makes full use of the expansive space and height of the room and its abundance of natural light. Afternoon tea blends created especially for The Rosebery by the East India Trading Company are served on Rosebery china created by William Edwards, accompanied by beautifully presented fresh pastries, scones, sandwiches and seasonal jams. Come evening, the room turns into a Champagne bar where cocktails are presented in glassware by John Jenkins. The Rosebery is one of three dining areas within the Mandarin Oriental Hyde Park where the two Michelin starred Dinner by Heston Blumenthal and Bar Boulud, the buzzing French-style brasserie and wine bar, can both be found. The vitality plunge pool, amethyst crystal steam room and zen colour therapy relaxation area. The vitality plunge pool, amethyst crystal steam room and zen colour therapy relaxation area are all part of the experience at The Spa at the Mandarin Oriental. No plain old relaxation area here - you get to chill out under lights that change colour so improving your mood - it's the perfect quiet spot to relax between therapies while sipping on a freshly squeezed juice or perfectly chilled water. The spa, spread over two levels and with eight treatment rooms, offers a full menu of treatments, massages and facials. There's an Eastern influence with treatments focusing on holistic principles where your whole lifestyle - not just your skincare routine - is taken into account. The Mandarin Oriental has a worldwide reputation for five star elegance and this is the only place in the UK where you can sample how that translates into a spa. Utter Bliss. From cheap budget accommodation to luxury 5 star hotels see our deals for hotels, including DoubleTree by Hilton London - Islington from 66% off.